Chakra Meditation means Meditating on Center of Energy. There are 7 center of energy(chakras) in the body. First is the ‘Root chakra’, second is ‘Sacral chakra’, third is ‘Solar chakra’, fourth is ‘Heart chakra’, fifth is ‘Throat chakra’, sixth is ‘Third Eye Chakra’, seventh is ‘Crown Chakra’. The Root chakra is found at the base of your spine. If there's problem with your root chakra can cause emotional and physical disturbances, specially digestive illness. The Sacral Chakra is found just below the navel. This chakra involved in the creative process. It controls both your reproductive organs and your imagination. The Solar Chakra is found just above your navel, in your stomach. This chakra is important to digestion, but also it plays important role in mental and spiritual way. The Heart Chakra is found in Heart at the center of the cardiovascular system. If there's problem with your heart chakra can cause respiratory problems and high blood pressure. The Throat Chakra is found in Throat near the thyroid glands. This Chakra controls communication and self expressions. The Throat Chakra is found in forehead just above your eyebrows. This chakra is in control of insight and intuition on both a spiritual and physical level. The Crown Chakra is found in top of your head. When your all chakras are in balance then, the crown chakra act as a Power house and serves great amount of energy. 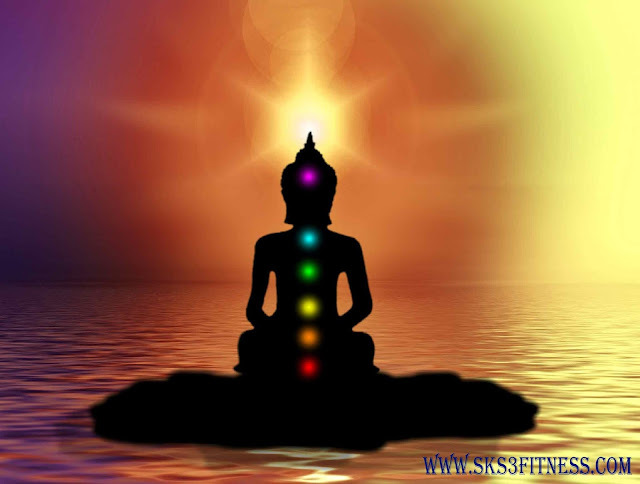 How to do Chakra Meditation ? First find a place which is not too noisy and crowded, where you will not get disturbed. Second wear something comfortable clothes. Too tight cloths will distract you. Hey, check out my best clothes for Meditation and Yoga Clothes on Amazon. For meditation your posture must be comfortable and relax. Seat in comfortable posture or pose. I prefer 'Lotus pose' (Padmasana), ‘Half lotus pose’ and 'Thunder-bolt pose'(Vajrasana) for meditation. Take any Mudra (hand gesture) you like for meditation. I prefer Dhyan mudra and Gyan mudra for meditation. You can meditate sitting on the ground or chair or on Yoga Mat , which I purchased from Amazon. Feel the heart , it's beating. Feel its presence. Visualize how heart working. Feel that energy which is responsible for beating the heart. And lose yourself in Visualization of Heart Chakra. Same with the Other Chakras and their respective location, focus on it. Put your full attention on that chakra, which you want to activate and meditate. If you don't know How to activate 7 Chakras, no worry, read my e-book ===> Click here. Note :- You can Meditate anytime - anywhere you want, try to meditate on Yoga Mat , which I purchased from Amazon.